There are more than a hundred people — the swish set of Delhi kitted out in their best to safeguard against the vagaries of nature while answering suitably to the demands of fashion, tinkling their glasses while talking about books, literature and more. But in the sea of humanity, one person is hard to miss. He greets everyone with equal warmth, asks appropriate and specific questions of each person and tells them to help themselves to the hors d’oevre that are circulating on the garden terrace of a hotel in central Delhi. And it seems that it is around the shock of grey white hair sported by founder and director of Teamwork Arts Sanjoy K Roy, that most of the action circumambulates at the curtain raiser of the Jaipur Litfest. Roy along with co-directors, noted historian William Dalrymple and writer Namita Gokhale, are the most prominent faces of the Jaipur Literary Festival which will be held between January 24 and 28 next year. The setting of Jaipur with its old world charm and forts further adds to the pull of the place along with the Indian hospitality. “It is like the great big Indian wedding of the literature festival. Everyone goes away as an ambassador after attending it,” says Roy. Besides the hospitality, heritage, great programming, what made the number of visitors swell from 5,000-6,000 in the initial year to about half a million last year, is the fact that, “We are able to bring the world to India and take India to the world. All of that has combined to create the pillars on which the festival sits on. We are not precious about reserving seats as it is first come, first serve irrespective of whether it is a Chief Minister or a Minister. The fact that it is open access and there are no reservations also makes it special. Often some celebrated people told me that they did not get seats while all the kids were sitting there. I believe that the festival is for younger people, which is evident from the fact that 61 per cent of visitors are below the age of 25. When writers look at this, it is an awakening for them because everywhere else it is a sea of this,” he says pointing to his grey hair. He also says that some of the best questions and the most intelligent ones at the sessions are asked by younger people. Roy feels that it’s the audience that lends JLF its incredible vibe. “The joint energy and its effusion that you feel at JLF is something similar that that you feel during a Kumbh Mela or when you go for a pilgrimage. 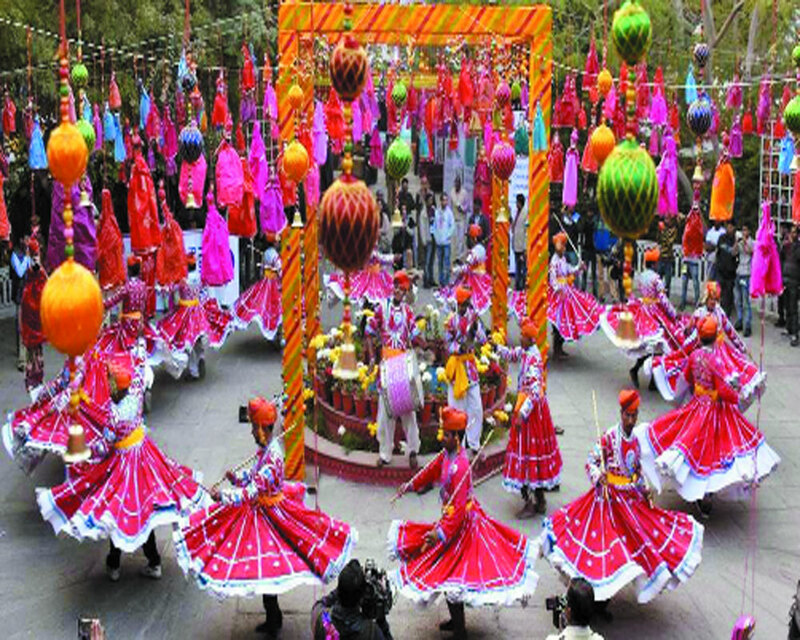 It is what makes the festival what it really is,” says Roy whose Teamwork Arts has several other successful cultural festival including Ishaara Puppet Theatre, Mahindra Kabira Festival, The Sacred Pushkar and many other national and international ones under its ever-expanding belt.